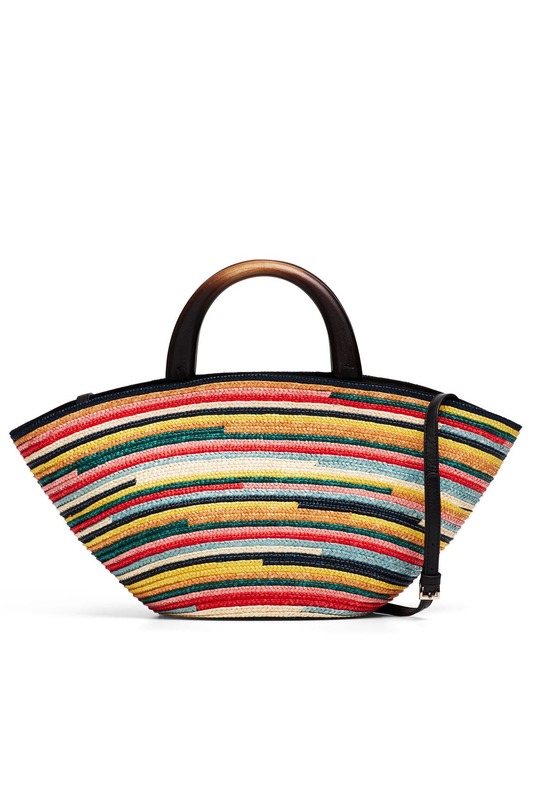 Eye-catching color makes this Eugenia Kim tote a bright pick for beach days and getaways. 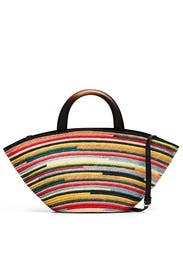 Multicolor striped woven large tote. 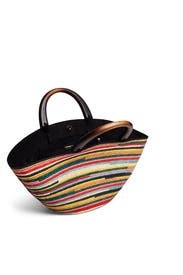 Contains interior zip flap pocket, wooden handles, cotton lining, and magnetic closure. 10.5"H x 21.5"L x 4"D.